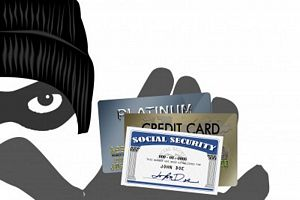 If you suspect or there is proof that your social security number in combination with other personal information was used to file a tax return, get a job, or apply for a loan, you may have been a victim of identity theft. In that case you should contact the IRS immediately and explain your predicament. Act swiftly and take another step by filing Identity Theft Affidavit or Form 14039. By submitting this form, you let the IRS know that you are a victim or a potential victim of identity theft and would like your account to be scrutinized for any suspicious activity. Regardless of which situation you select, you have to provide explanation of what happened or what makes you believe you may be a victim of identity theft in the future. Additionally, if you are submitting the form on behalf of someone else, you have to complete Section E – Representative Information where you indicate the reason for doing so. Form 14039 can be either mailed of faxed. If you still haven’t filed you return, include the form with your return and all supporting documents and mail it to where you typically mail tax return. If you have already filed your taxes, send the form and all documents to where you typically file. If you are responding to a letter from the IRS, send the requested documents to the address provided or fax it to the number listed.